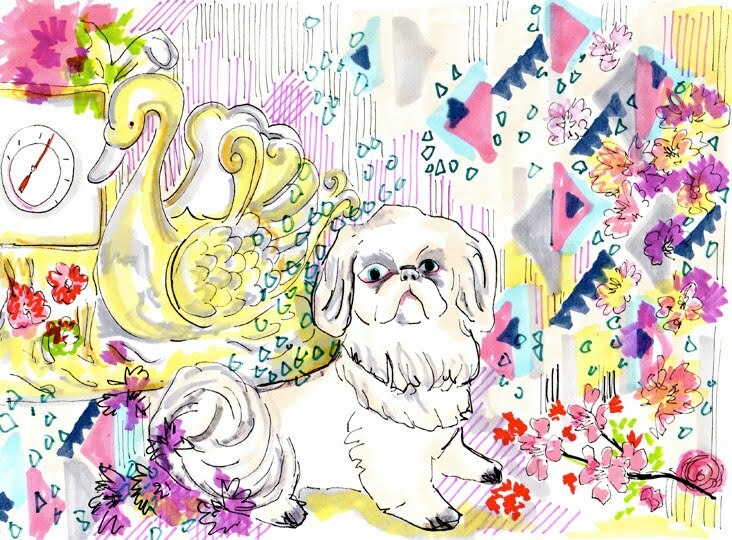 February 22, 2012 in "Christine Martinez", "Dog Illustration", "Dog Milk", "Miles to Style", "Miles", "florals", "illustration", "patterns doodles"
This evening, well in the UK anyway, Christine from the lovely Miles To Style received the portrait of Miles I'd recently completed for her! Such lovely words were sent my way for the illustration, made me blush slightly! Miles is not only the sweetest thing ever with an underbite, but an utter joy to draw. Thanks Christine for all the lovely commissions you've had me complete for you and for being a fan! This is Miles in amongst the flowers.